Rosemary's husband is a struggling actor who has just had a very lucky career break. The couple move into a new apartment in New York City. 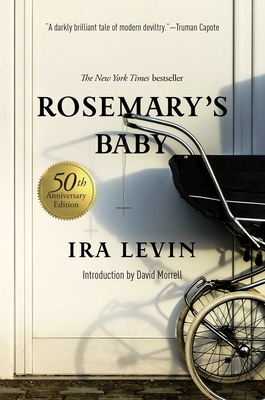 Rosemary finds herself pregnant with a bunch of strangers offering to help her at every turn. She is sick throughout the pregnancy, hears voices, has cravings for raw meat and doesn't make it to the hospital in time. Amazingly, her husband is not very supportive toward his wife's concerns. This is a great suspense novel and very hard to put down. Even though you know what is happening, you are drawn into the hopelessness of Rosemary's situation. This is a high suspense novel. This is paranoia story at its best. Rosemary cannot trust anyone in the novel. The isolation effect makes this a truly scary work of horror.